Clue: I was given it at the end of a grand banquet in Chengdu a few weeks ago, and I was the only guest at the table to receive one. P.S. Apologies for my long absence from this blog. I’ve been busy in China… I’ll try to catch up now! No idea what that thing is, but I’m hoping your time in China might be related to another book. After enjoying three of the best books on Chinese food ever, I can’t wait for #4! Maybe it’s a shark fin bone? I have no idea what that is but it almost looks like some kind of bone or cartilage fragment. Maybe one of this fish bones you drop on the table and if it ends up standing upright, you’re meant to have good luck? 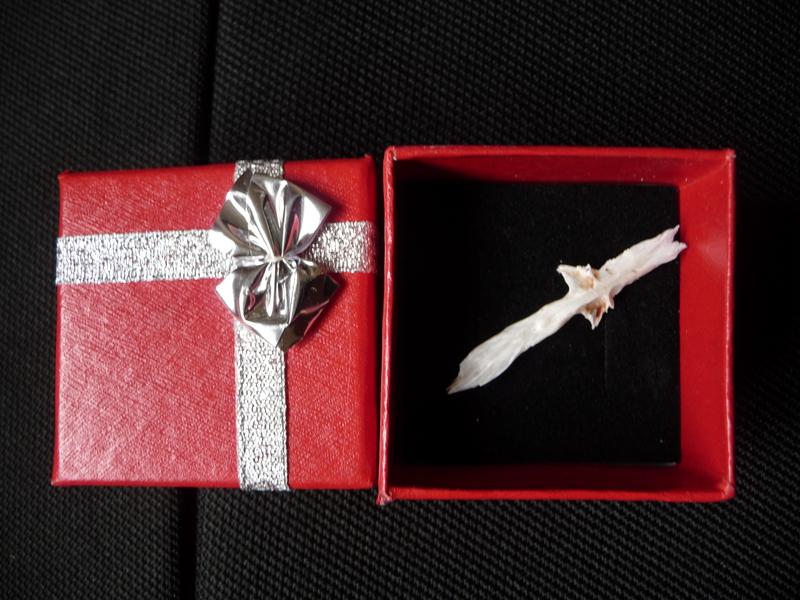 It’s a parasphenoid bone of a fish (part of the skull), but no idea which species – unusual gift! Some kind of animal/fish skeletal body part for sure… Weird! Is it a very smart tooth pick? yup, didn’t know the name, but it’s definitely the part of a fish skull (the bone that forms the roof of the mouth). I have one on my wall that is part of a sculpture. 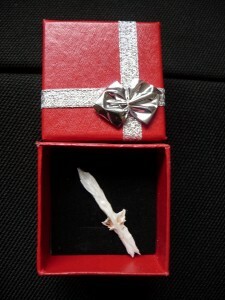 A chopstick rest made from a crab bone?